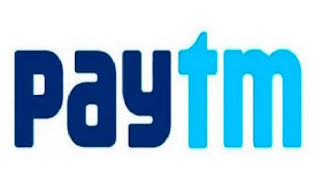 Ship of Life: Paytm Just Won My Parent's Heart! In just a short time, Paytm the ecommerce website has gained popularity for its easy to purchase and discount oriented products. I first caught the fancy of purchasing from Paytm in my office as my colleagues would purchase their goods during the lunch break. What fascinated me was how they offered cashback in a unique way. Instead of just offering discount, they would deposit it in the wallet, which made it easy for anyone to purchase other goods. I guess the other ecommerce websites have also followed suit. My dad recently asked me to purchase portable USB Speakers from the website. The goods came in a week. However, my dad was not satisfied with the product purchase. No, the product was as advertised and purchased, but he thought he made a mistake in viewing the product and purchasing. Solution? He asked me to send back the speaker as it was less than a week. I immediately did the return back process. The speaker cost was immediately added to my wallet, BUT no one turned up to collect the speakers for 4 days or more. Prodded by my mother, I finally took to writing a mail to their customer care about it in the afternoon while I came home for lunch. The same day, after dinner, my mother informed me that she had received a call from the website's staff. Interestingly, they asked my mother to keep the speaker as a goodwill gesture from the website. Mother tried to reason with them for 10 mins about returning the speaker anyhow, but they only insisted on keeping the product with us. Firstly it was a goodwill gesture and secondly, as I think, it would have been a cost for them to send back the product again with all the logistics expenses, with the product cost being negligible. My parents are now happy with the website's staff and how they handled the whole thing. Paytm just won my parent's heart. A good marketing and client relationship exercise for sure!